There have been many attacks on humans by many animals. What I have tried to do with this list is not only mention the most prolific attacks but to also mention a range of animal species and their attacks in order to make the list more interesting. Some animals worked together while others were solitary in their attacks. 1916 was a vintage year for shark attacks along the New Jersey Coast. The first victim was taken 30 yards from the shore and a week later there was another fatal attack further up the coast. It is not proven but some believe it was this same shark that swam up the Matawan Creek. People had reported seeing a shark in the creek but were ignored. The shark took three victim from Matawan Creek. Many believe that the shark responsible for these attacks must have been a Bull Shark as it is only Bull sharks that are known to enter fresh water and attack so aggressively. These attacks occurred in Malawi in 2002. The hyenas killed six villagers that year. The government sent rangers in to track down the hyenas. 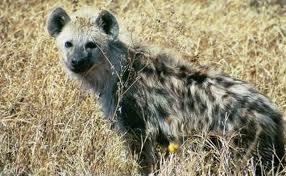 It is very unusual for hyena to attack people as their normal prey in this area is goats or chicken. In most rural areas in Malawi families prefer to sleep outside to guard their crops and keep cool, but while the hyena were in the area the villages were deserted after sunset. 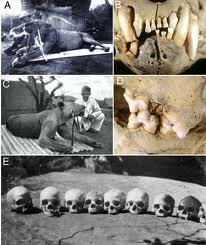 I was not able to find any more information as to what happened to the hyenas, or why the attacks stopped. Osama was a lion that terrorized the people is the region of Rufiji, Tanzania. He is accused of killing more than 50 people from eight villages during 2002 to 2004. Osama likely did not kill alone but he is the one the villages singled out. Osama was only 3 ½ years old when he was shot in 2004. Some blame his killing spree on an abscess he had on his molar. The tigers of Chowgarh were a pair of man eating tigers consisting of an old tigress and her sub-adult cub. They were known to have killed a reported 64 people in eastern Kumaon over an area spanning 1,500 square miles over a period of five years starting with the first victim in 1925. 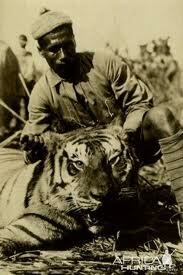 Famous hunter Jim Corbett was called upon to hunt down the tigers in February 1929. Corbett managed to kill the cub, but it took him until March 1930 to kill the tigress. An examination of the tigress’ body showed that her claws and one canine tooth were broken and her front teeth were completely worn down. It was these disabilities that Corbett concluded led this tigress to having become a man eater as it was thus hampered in killing wild game. This man eating leopard lived in the Rudraprayag District of India. The people of this region dared not move alone at night and feared this leopard for eight years. This leopard was apparently so desperate that it would break down dorrs and leap through windows. 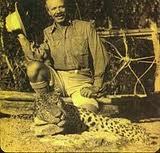 In 1925 the British Parliament requested the aid of famed hunter Jim Corbett to kill the leopard. Corbett shot and killed the leopard. 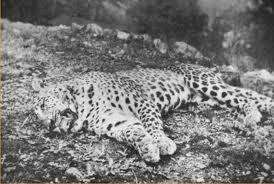 The Rudraprayag leopard is said have killed 125 victims but just like the Panar leopard these records may not be an accurate account and there were probably many more victims. In 1898 the British started to build a railway line over the Tsavo river in Kenya. During the next nine months two large maneless male lions stalked the campsite and dragged the Indian workers out their tents at night. The two lions were given the names “The Ghost” and “The Darkness”. These lions were so cunning and large that many workers thought they were demons and hundreds left the Tsavo region. Lt. Col. John Patterson managed to kill the first lion and three weeks later he managed to kill the second lion. It is not clear how many the lions killed but Patterson had given a figure of 135. 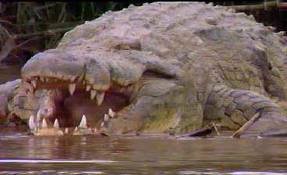 Gustave is a large male Nile crocodile that lives in Burundi. Gustave is said to be over 60 years old and has still managed to evade capture. It is estimated that Gustave has killed as many as 300 humans but the true figure is unclear. Natives say that Gustave kills just for fun, he is said to hunt his victims, kill them and leave them uneaten on the shore. No one knows where he will appear to claim his victim. Gustave’s body shows scars brought on by knives, spears and firearms. But so far all hunters have failed to capture or kill Gustave. 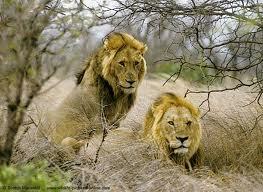 This was a pride of 15 lions that were man eaters during the period of 1932 – 1947 in Tanzania. Prior to the pride’s bloody spree, the colonial government had reduced the numbers of prey animals in the area in an effort to control a rinderpest outbreak that was destroying cattle herds. The hungry lions quickly settled on human flesh as a substitute. Unlike most lions, the Njombe pride did its killing in the afternoon, using the night hours to travel as far as 15 or 20 miles to an unsuspecting village. 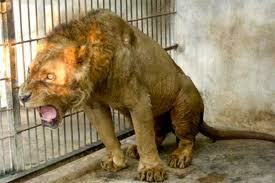 It is said that these lions killed about 1,500 people until they were eventually shot. The leopard is the smallest, but possibly the powerful pound-for-pound of the individual animals that consistently kill and eat man. The deadliest man-eating leopard was the Panar leopard. This male leopard lived in the Kumaon district of India in the early 20th century. The Panar leopard is said to have killed 400 people, but the point remains that accurate scores were never kept on hill people who simply tuned up missing or were discovered dead. So the final figure on deaths by the Panar leopard is certainly more than the recorded 400. The Panar leopard was finally killed in 1910 by famous hunter and conservationist Jim Corbett. This individual cat has the highest number of recorded human kills. This tigress had proved to be such a man killer in Nepal that the Nepalese army were called in to deal with the tigress. This tigress was far too cunning for even the army. Although they failed to capture the tigress and did manage to force her to abandon her territory and she moved across the border into the Champawat district of Indian where she continued her murderous streak. Famous hunter Jim Corbett was called in to take care of this tigress. He did this by following a trail of blood of a teenage girl who was the tigress’ latest victim and then shot the tigress. 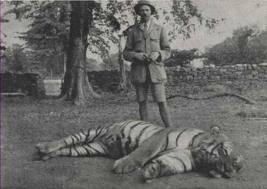 This happened in 1911, after this tigress had killed a recorded 436 people.